During tonight’s Town Council meeting, Evans agreed to delay the matter until February. He said the postponement would give his colleagues time to gather more information on the proposed $15.7 billion dollar pipeline that would carry up to 1.1 million barrels of Alberta tar sands bitumen per day to an Irving Oil terminal in Saint John. Councillor Michael Tower welcomed the delay suggesting council could hear from pipeline proponents at their discussion meeting on February 6th. Councillor Evans circulated his motion to colleagues after a group of Mount Allison students tried to persuade council to oppose the pipeline in November. 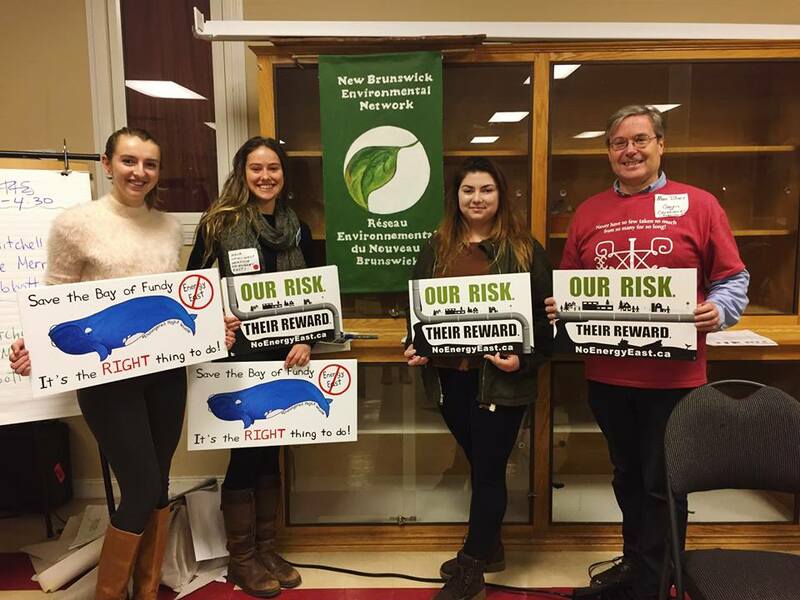 The students, who are members of the group Sackville, No Energy East, argued that Canada needs to invest in renewable energy rather than in facilities to promote the production and consumption of fossil fuels that hasten climate change. At tonight’s meeting, Tower said many councillors want to hear from “the other side” before voting on a motion to oppose the pipeline. Deputy Mayor Joyce O’Neil and Councillor Bruce Phinney agreed. Councillor Allison Butcher said that while she supports the motion opposing construction of the pipeline, it would be irresponsible not to hear the other side. “Because I think that won’t change my mind, doesn’t mean I shouldn’t listen,” she added. Mayor Higham said he had taken several calls over the past week from a variety of people including from Energy East, former senators and local business people. He said all the callers expressed concern about council going ahead with a vote based on a presentation from one small group. In an e-mail earlier today to Warktimes, the students expressed disappointment at the delay, but said they may ask to make another presentation in the new year. “This way we could come back to council with more facts and stronger arguments to get them to vote against the pipeline,” their e-mail said. To read about the student presentation to council in November, click here. This entry was posted in Town of Sackville and tagged Allison Butcher, Bill Evans, Bruce Phinney, Energy East pipeline, Joyce O'Neil, No Energy East, Sackville. Bookmark the permalink. It’s hard to believe that they’ve been getting calls from pipeline proponents, that they actually care about what Sackville Town Council has to say. Anyway, now is the time for them to drop this issue which is outside their purview, and to get back to things that they can actually change! I am really concerned that their ‘holier than thou’ action may indeed bring Provincial and Federal repercussions directed at the citizens relating to the future or our Sackville hospital or school system or come in an even more sinister form. It is way past time that the Council should stick to Sackville Council business and not seem to be such an uninformed overall enemy of business.